Police in France say they have arrested a knife-wielding man who wounded seven people in an attack in central Paris. 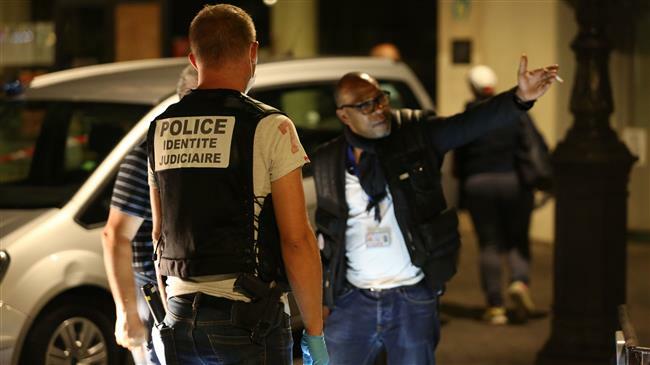 Police said early Monday that the man, also armed with an iron bar, stabbed seven people, including two British tourists, near a cinema on the banks of a canal in the northeast of the French capital late on Sunday night. The assailant, reportedly an Afghan national, was chased by a group of people before police arrived and captured him, according to witnesses. “There were around 20 people chasing him. They started throwing Petanque balls at him,” a witness told AFP, referring to metal balls used in a sport popular in France, also known as boules. Authorities said there was no initial indication that the assault was linked to terrorism. “Nothing at this stage shows signs of a terrorist nature in these assaults,” said a judicial source, who also said that police had opened an investigation for attempted murder. France has seen several knife attacks in recent months, in most of which terrorism was ruled out. The most recent attack occurred last month when a man stabbed his mother and sister to death and wounded another person in a town near Paris. But France has also seen deadly terror attacks in recent years. The country remains on high alert after a string of coordinated attacks in and around the capital killed 130 people in November 2015. A total of more than 245 people have been killed on French soil over the past three years in attacks launched by extremist individuals inspired and in some cases trained by militant groups such as the Takfiri Daesh terrorist group.